Midwives are highly specialised, they focus on supervision, care and advice to women during pregnancy, childbirth and the postnatal period. La Trobe designs its courses with your future career in mind and partners with a range of professional organisations for accreditation and registration. Refer to the detail for each course below to see what professional registration and membership options exist. 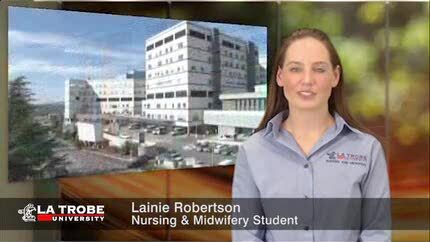 Midwives have excellent employment prospects in Australia and overseas. Areas include health counselling and education for women, their families and community; preparation for parenthood and infant care. Midwives are also found in education and government. Duration: 1.5 years full-time or part time equivalent. 18 months full-time or 36 months part-time study load, while working full-time in a related discipline. Duration: 1-2 years full-time; 1.5-4 years part-time. If you have completed a Bachelor of Nursing and have at least one- year's experience, you may apply for the Postgraduate Diploma of Midwifery (see the postgraduate coursework section for more details). Our courses include a number of placements in our clinical schools based at major Victorian health care facilities. See clinical schools.